Makrowin european wood windows offer the elegance of wood, while simultaneously providing the exceptional performance, quality and durability that we demand from all of our products. 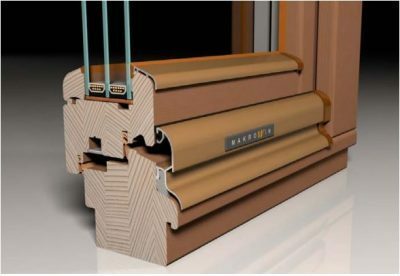 Makrowin offers three lines of windows, designed to meet the performance needs of any project. We offer three lines of Makrowin wood windows to meet your performance needs! The Makrowin 78 product line is manufactured from high quality stable materials and equipped with outstanding quality hardware and hinges. Can be glazed with insulating double pane glass Ug=0.18 Btu/(hr·ft²·F°) or with insulating triple pane glass Ug=0.12 Btu/(hr·ft²·F°). The Makrowin 88 product line offers outstanding value combined with near-Passive House energy performance. For the customer who does not want to compromise aesthetics for practicality, the Makrowin88 window is handcrafted from the finest woods and comes in a huge variety of finishes. As the most recent addition to our Passive House fenestration offering, the 88G2 window represents the state of the art in engineered wood frame technology. This window was recently certified at the Darmstadt Passivhaus Institute achieving Uf=0.13 Btu/(hr·ft²·F°). At 88mm thick, this window technology represents the thinnest PHI-certified wood window design.